We can't pretend any longer. With just two months to go until the General Election, this whole self-inflicted political crisis keeps getting worse for the Hawaii GOP. 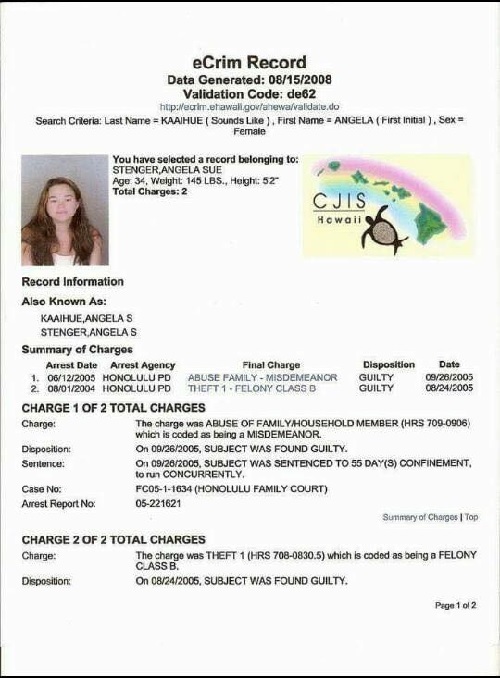 Yes, more shocking details have emerged since HIRA broke the inside story of the Aulani Kaaihue for Congress scandal last week. And it's not pretty. 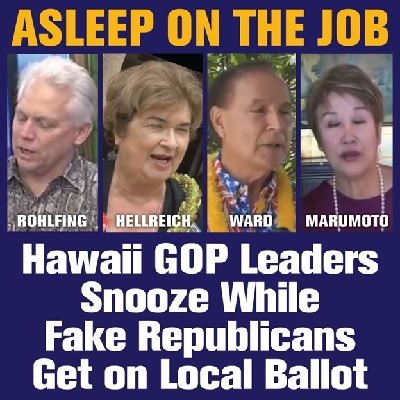 An active volcano of terrible publicity for Republicans combined with Team Hellreich's very belated and awkward damage control makes it clear that Hawaii's 2016 GOP candidates have been set up like bowling pins by inept Republican Party leaders who intentionally failed to nip this shambolic problem in the bud (evidence below) . . . a massive PR problem which is being skillfully and opportunistically exploited by Democrats and their ideological buddies in the local news media to make Republicans even more unelectable than usual in 2016. 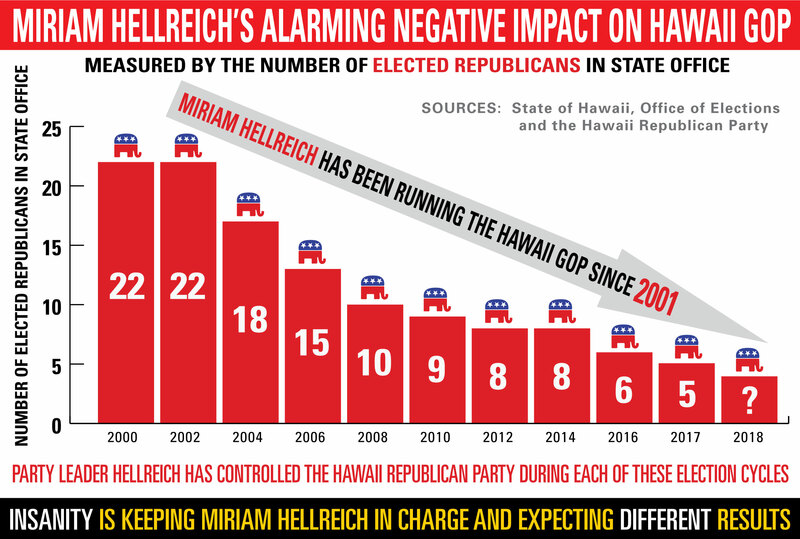 Since HIRA broke the story of Team Hellreich and its #1 minion Fritz Rohlfing ignoring months and months of horrible public statements by Aulani Kaaihue, Republican candidate for the 2nd congressional district, much has transpired . . . none of which is good. While HIRA has exclusively reported the internal communications showing that Rohlfing ignored recommendations to terminate Kaaihue's membership in the Hawaii GOP, the story is still untold that party leaders could have easily taken decisive action before the state's deadline for our party to contest Kaaihue's "R" candidacy on the Primary Election ballot. In other words: MONTHS OF TERRIBLE PUBLICITY FOR HAWAII REPUBLICAN CANDIDATES AND THEIR PARTY COULD HAVE BEEN TOTALLY PREVENTED. Below is an e-mail dated June 14th ( nearly three months ago) from Jack James, a major defender of state chairman Fritz Rohlfing's financial corruption and rulebreaking 'embezzlement' of thousands of dollars from the Hawaii GOP. James' message is written and send to the entire State Committee of the state party. 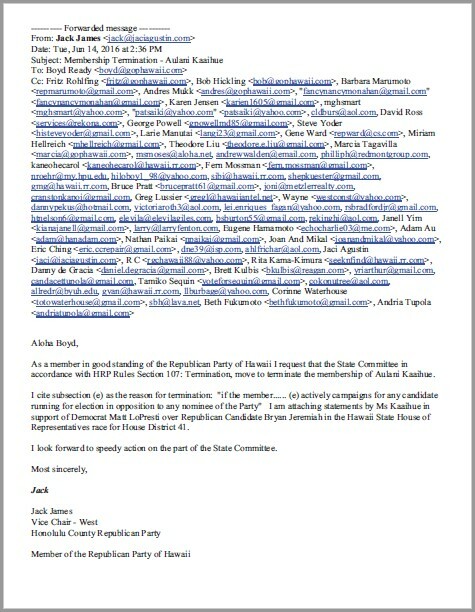 According to the State Office of Elections, this e-mail below from James (also Jaci Agustin's campaign manager) which recommended and requested action on the proposed termination of Kaaihue's GOP membership was sent IN ADVANCE OF the state's June 14th @ 4:30pm deadline for the Hawaii GOP to object to Kaaihue's candidacy filing. Right then and there, the party had an open-and-shut case against Kaaihue (encouraging people to vote for Ewa state house Democrat Matt LoPresti over Republican challenger Bryan Jeremiah) . . . if only these party leaders had pulled their heads out of the sand (or wherever) and utilized the political experience and acumen they promised they possessed when they ran for party office. "Speedy action" was requested of state chair Rohlfing. "Speedy action" was DENIED. RECIPIENTS OF MEMO: National committeewoman Miriam Hellreich, rules committee chair Andrew Walden, platform committee chair Mark Moses, coordinated campaigns chair Bob Hickling, candidate recruiter Barbara Marumoto, communications chair Andy Mukk, treasurer Mary Smart, coalitions chair Karen Jensen, past chair Pat Saiki, county chairs from each island, elected Republicans in the State House and State Senate, highly paid executive director Marcia Tagavilla, Trump campaign chairman Nathan "The Prophet" Paikai, and an assortment of sycophantic Hellreich-supporting district chairs (and some non-supporting) from across the state ( who would have overwhelmingly voted for Kaaihue's expulsion with the slightest signal from Empress Hellreich). Keep in mind how long ago this recommendation to terminate Kaaihue's membership ( thus her Republican candidacy for congress) was made. It was so long ago that Donald Trump hadn't even become our party's official nominee in Cleveland yet. 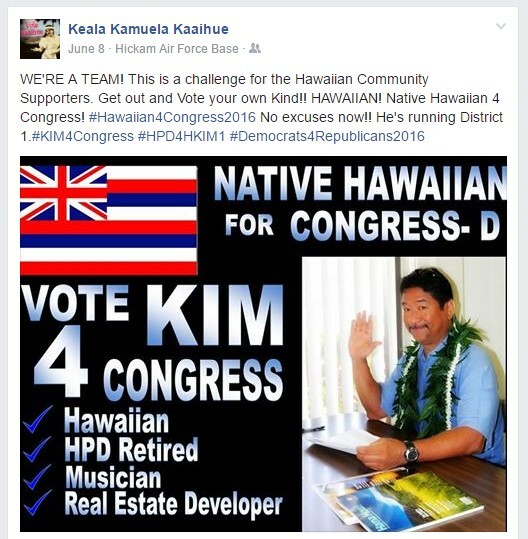 At this point in mid-June, there had only been ONE negative media story about Hawaii's racist, nutjob Republican congressional candidate yet. But the very people in whom Republicans TRUST to run our Hawaii GOP organization poured gasoline on this fire instead of using the water available to them. BAD JUDGMENT: The smoking gun is there for all to see. Hellreich, Rohlfing, Saiki, Marumoto and the rest KNEW they had a problem, KNEW they had a solution, but let the fire get out of control; refusing to stop Kaaihue's disastrous Republican candidacy when it could still be stopped. They ignored the call to terminate her membership following months of outrageous, offensive statements, after months of support for Democrats, and after being handed the solution by Rohlfing's own corruption defender Jack James. Team Hellreich's 'party leadership team' showed laziness, cowardice, and ineptitude when they needed to step up and head off this disaster. 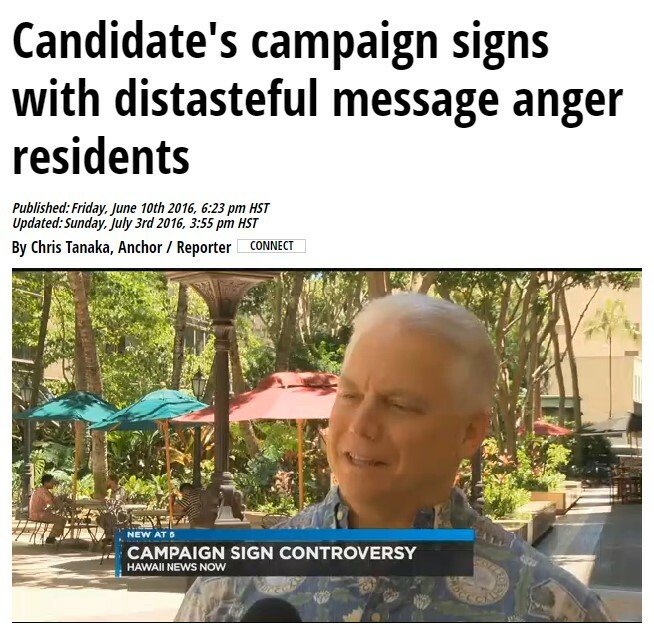 BUT IT GETS WORSE : Making matters much worse is that Fritz Rohlfing gave a deer-in-the-headlights interview four days before James' e-mail and four days before the state's deadline to Hawaii News Now about Kaaihue's offensive campaign banners which boasted that (unlike the dying Mark Takai) she was " cancer-free". With four days to go until the deadline to contest Kaaihue's candidacy, alleged attorney and party chair Rohlfing apparently dispensed with any pursuit of due diligence to solve this massive and growing PR problem. The solution was right there before Fritz Rohlfing's deer-in-the-headlights eyes. It's bad enough that the ever-bumbling Team Hellreich failed to prevent the predictable tsunami of bad publicity for our party and for our GOP candidates. But normally in politics, you see, one would worry about how a scandal like this might temporarily drown out a strong Republican campaign message of why voters should replace Democrats with our brave challengers. But since Team Hellreich has totally failed to put forward any coherent message in 2016, this scandal is all that the newsmedia ( and the voters) have to talk about on the subject of Republicans in Hawaii. 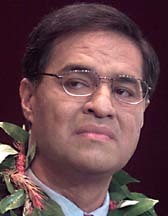 Without party leaders having even tried to put Democrats on defense over their record in office through a coordinated campaign, powerful communications, coalition building, and organized voter contact across 246 precincts statewide, Aulani Kaaihue has instead filled the void to become the official theme of the 2016 elections. PRETEND YOU ARE WALKING PAST TOTAL STRANGERS AT THE MALL: At home and around the watercooler, regular folks have no reason to discuss (for example) how electing more Republicans to the legislature means we can repeal that tax hike or reform public education or fix the roads or protect our keiki. 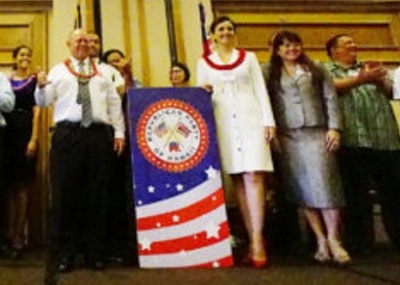 The Hawaii GOP is not transmitting or orchestrating even one of those messages in 2016. 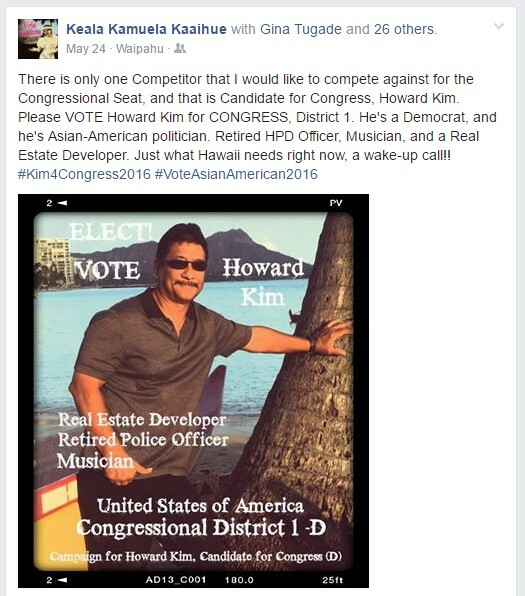 Instead, exploiting the silence coming from our party, local Democrats are already raising money from donors and defending their seats in office by insinuating that Kaaihue is not alone among racist Republicans on the 2016 ballot. And with party-switcher and corrupt City Hall veteran Rod "Mexicans are wetbacks" Tam enthusiastically embraced by Team Hellreich as a featured GOP candidate this year, our own party leaders are essentially helping Democrats to prove their point that they should stay in power. Tragically, our brave GOP candidates statewide are being directly and indirectly impacted by the party's negligent embrace (and non-rejection) of Kaaihue's candidacy; and tarnished further with strategic Democrat accusations that "all Republicans are racist and intolerant". 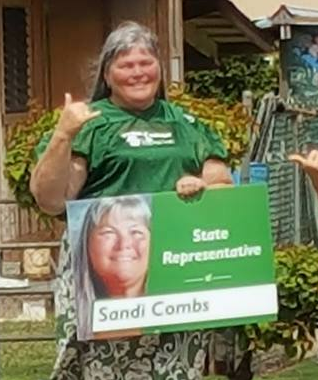 HELPING DEMOCRATS: You know it's bad when GOP candidates like Sandra "Sandy" Combs -- Team Hellreich's very own challenger for state house in HD14 on Kauai -- feels that she needs to publicly endorse Democrat Tulasi "Tulsi" Gabbard for re-election in order to distance her already flailing campaign from Kaaihue: " I will vote for Tulsi Gabbard over her," Republican Combs announced to the people of Kauai through the Garden Island newspaper and website . 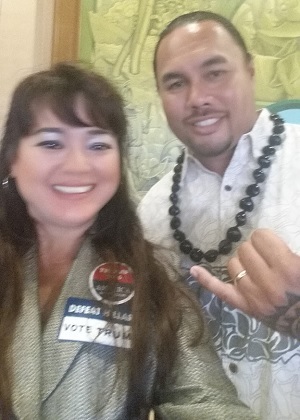 . . even though Combs has now done exactly what Kaaihue herself did by openly and very publicly supporting a Democrat for office. 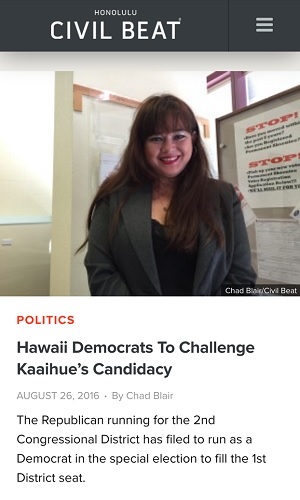 Heck, that's precisely what Kaaihue was cited for in Rohlfing's incredulous announcement yesterday which caused her to be banished from the Hawaii GOP's membership roll. A clear-cut state party rule (Section 107 - Termination) without any exceptions for political expedience: "...actively campaigns for any candidate running for election in opposition to any nominee of the Party." *** And you know that Combs is not alone among local Republicans in apologetically making declarations like this to curry favor with voters and the media while the pressure of this story puts GOP candidates on the defensive. CARELESS: So, instead of protecting their 2016 candidates halfway into an election year, these incompetent GOP leaders basically locked our brave challengers in a room with no fire exits along with pyromaniac Kaaihue and enough of her flammable rhetoric to burn down every chance of winning which was already in shorter supply than than breathable air among the smoke and flames. REALITY CHECK : The repercussions, recriminations and fallout from this mess are still piling up like garbage during a strike. Tragically, this story will continue to stay in the news from now until November 8th (the crucial day that we are all supposed to be working toward since November 2014). Mind you, Rohlfing's membership termination maneuver yesterday comes several months too late to keep Kaaihue off the ballot for the Primary Election (which she won), or the ballot for the General Election (which happens automatically when one wins a primary), and way too late to prevent the continuing deluge of dozens of related news stories bringing endless negative publicity for Republicans in Hawaii . . . all of which was preventable. In an ironic twist, as the Republican Party's nominee for the two-year term to occupy the open seat in Congress once occupied by the late Mark Takai, Kaaihue will be simultaneously running as a Democrat in the special election to fill that same seat for the few remaining months of Takai's term in office. Yes, voters throughout the 2nd congressional district (half of our state's voters) will get to see Kaaihue's name TWICE on their ballots: as a Republican and as a Democrat. 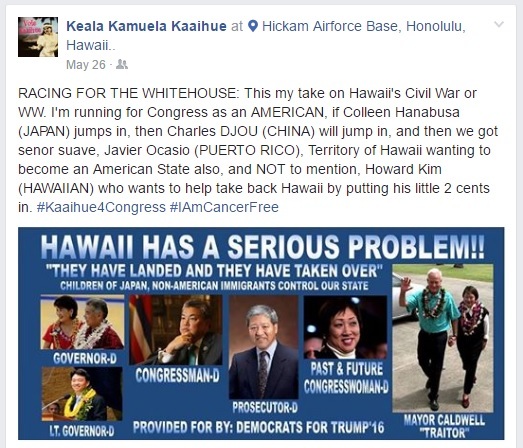 Starting several months ago, Democrats wasted no time jumping all over Republicans for the Kaaihue scandal once she began hanging anti-Takai banners boasting that she was "cancer-free". Then, this past Friday, Democrats wasted no time appearing organized and determined by going to court to keep Kaaihue off the special election ballot -- once word broke that Kaaihue was also going to run for congress as a Democrat. You see, once they discovered that Kaaihue, a card-carrying member of the Democrat Party, had filed to run for congress as a Republican, they terminated her membership: "We already sent a letter to Ms. Kaaihue letting her know that, under our bylaws, her candidacy in the Republican Party was grounds for mandatory expulsion," Party Chair Tim Vandeveer said Friday. "She is not a member of the Democratic Party of Hawaii. 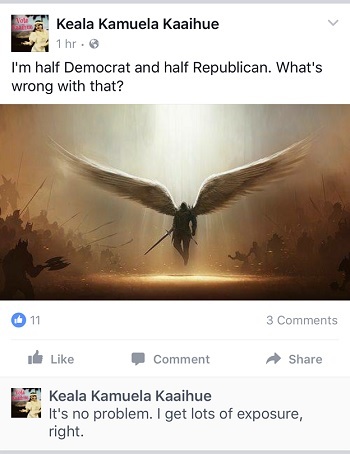 Hmmm, really great vetting by Team Hellreich whose 'leaders' didn't bother to ask Kaaihue if she was a Democrat when she pulled papers to run as a Republican. REALLY?? : It's hard to believe that Rohlfing is really a lawyer when he let every legal opportunity for relief from the Kaaihue debacle slip away with each passing deadline. 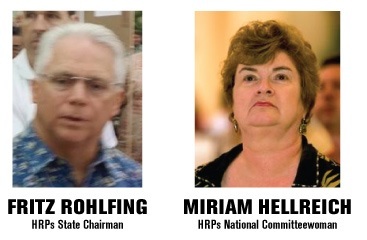 Indeed, Rohlfing's lack of legal smarts are on display every single day at the Hawaii GOP: (1) improperly pilfering thousands of dollars from the party's bank account and paying a Democrat union lawyer to initiate a stupid legal threat to shut down the conservatives at HIRA; (2) going to court after lots of bluster and bravado then miserably failing in his legal stunt to have Democrat state senator Laura Thielen's nomination papers tossed out; (3) apparently sleeping under his desk since February while Aulani Kaaihue practically begged Rohlfing to challenge her GOP membership and candidacy for more than six painful and politically damaging months. In light of these additional facts, it's time for all of them at Team Hellreich to resign. They are destroying the Hawaii GOP. Remember, it wasn't "too late" for Donald Trump to recently bring in new campaign management for the third time. 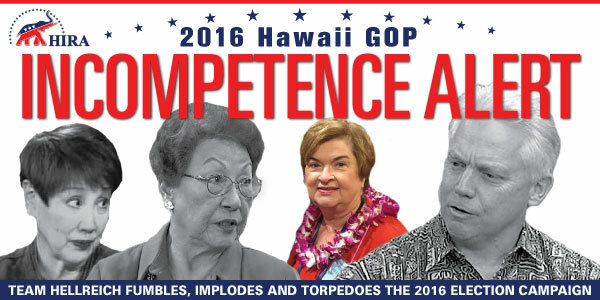 So it's not too late for the Hawaii GOP to bring in replacements for the incompetent RINO's of Team Hellreich. Indeed, the call for resignations of the "Cult of Miriam" has grown louder. HIRA's mailbox is overflowing with vitriol for the bozos running our party. We have barely more than 2 months until Election Day. Decisive leadership will come too late at next year's state convention. WE NEED NEW HAWAII PARTY LEADERS NOW !!!!! !